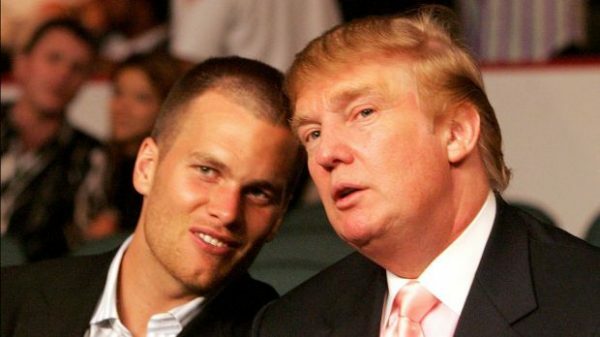 Tom Brady, left, and Donald Trump. New England Patriots quarterback Tom Brady sidestepped the question of Donald Trump and sexual assault on Wednesday, evading his obligation to women all over the world the way he evades pass-rushers in the pocket (oh wait, he actually doesn’t do that very well … see last year’s AFC Championship Game against the Denver Broncos). Brady is a friend and supporter of the reality TV star turned Republican presidential candidate, but as a husband and a father of young sons and a daughter, the QB also is a role model who can send a clear message to boys and young men in locker rooms across America that discussing — and in Trump’s and Bill Clinton’s case, possibly engaging in — sexual assault of any kind is unacceptable. Failure to do so furthers a culture of entitlement in high school locker rooms and on college campuses across America that has led to horrific rapes like the Brock Turner case at Stanford. Professional athletes need to stand up and speak out against that type of behavior or it will continue to spiral out of control in our nation and around the world. Yes, as a Colorado resident, I am a Broncos fan, but this has nothing to do with my strong dislike of the Patriots — an outstanding franchise that unfortunately feels the constant need to push the boundaries of the league’s rules. I am equal opportunity in my condemnation of anything that smacks of abuse directed toward women, in the locker room, workplace or anywhere in America. Earlier this year I called on former Denver quarterback Peyton Manning — regardless of what actually happened at the University of Tennessee back in the 90s — to speak out against sexual abuse and the macho environment of entitlement at schools around the nation. He didn’t take my advice, and is instead spending retirement making commercial after commercial. How about just one PSA on how to treat women and girls, Peyton? Now I’m calling on Broncos cornerback Aqib Talib, who came to Denver from New England, to clarify what he meant when he said, ““Trump may fit in if he came in here, who knows?” If there are players talking and acting like Trump in the Denver locker room, they should be exposed, and Denver executive John Elway, a big backer of the Republican Party, should condemn their behavior and condemn Trump’s comments and actions. Talib has been a great player for Denver, helping them win the most recent Super Bowl, but he is a knucklehead on and off the field who allegedly shot himself in the leg while intoxicated last off-season. If he’s just spouting off at the mouth, that’s one thing — and he deserves to be slammed for it — but if there’s anything to what he’s saying, it should be investigated fully. The National Football League also needs to lead on this issue. 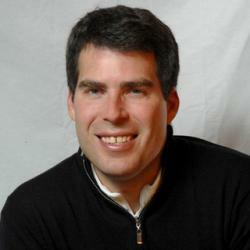 It has a terrible record of handling domestic violence and spousal abuse cases like the Ray Rice incident, and the league has an opportunity to affect real change in sports and society — something that could have ripple effects across the globe, where the sexual and physical abuse of women is an epidemic that needs to be stamped out and not dismissed as just “locker room” talk.